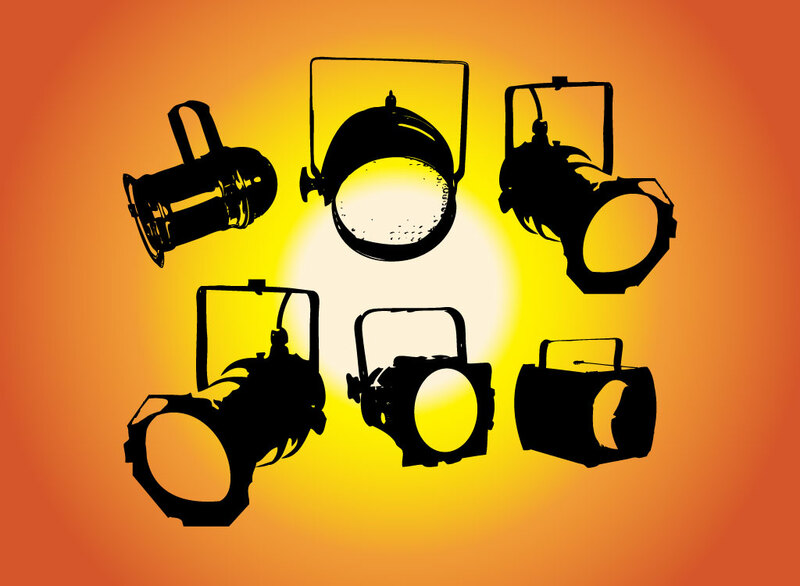 Set of six different stage lights rendered as one-color vector threshold style images. Variety of spotlights seen from different angles making it easy for you to put together an image with light coming from every direction. Free download for your entertainment industry and performance themes. Tags: Concert, Entertainment, Live, Party, Performance, Spots, Stage Lights.